The Mikdash Educational Center is a non-profit educational and religious organization. The Mikdash Educational Center is dedicated to rekindling the flame of the Mikdash in the hearts of the entire Jewish population through formal and experiential education. 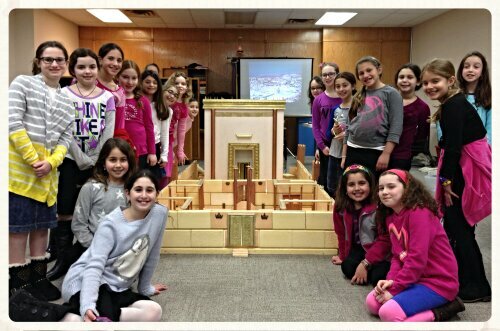 Using innovative methods including a special 1:50 scale model of the Second Mikdash that is built together with the audience as part of the learning process. The North American branch of HaMidrasha Leyeda HaMikdash has been spreading Mikdash education in North America for the last three years and we are prepared to reach the entire Jewish population in North America with the same outstanding unique programs relating to the Beit Hamikdash that have been such a success throughout Israel for the last 25 years.